We offer highly useful and reliable Sand Blasting Machine. 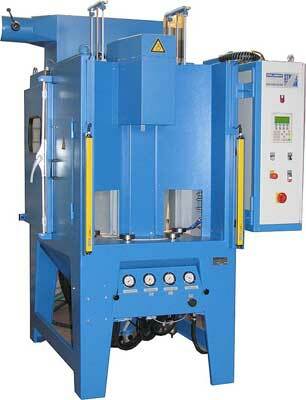 The Sand Blasting Machine we offer requires no installation and comes in ready to use condition. Only a compressed air connection is to be provided before use. The media used for blasting is collected in the machine itself and reused many times. An exhaust blower is provided at the top of the machine with filtering system to give clean exhaust air. The machine is provided with inside light for easy working for operator.